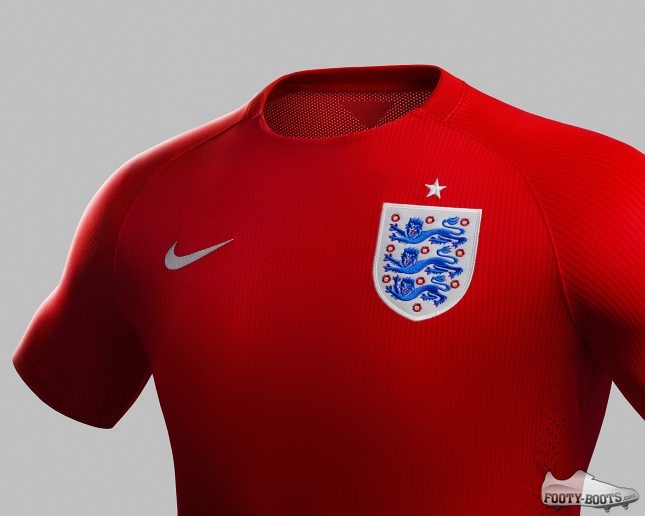 In a simultaneous release with the new England Home Shirt, Nike have also launched the brand new England Away Shirt for the World Cup in 2014. 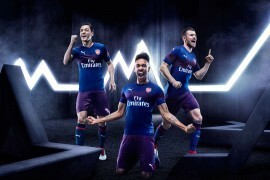 Featuring a bold red tonal pinstripe design subtly infused with a graphic interpretation of a St George's cross on the front, the new England Away Shirt for the World Cup' is one of Nike’s lightest ever, with a strong focus on incredible breathability and ventilation to help the Three Lions in the Brazilian climate. 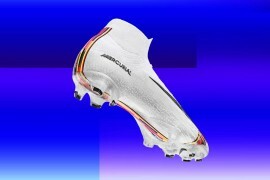 Nike have aimed to take one of the most iconic kits in England’s storied football history and infuse it with a new sense of style, whilst paying tribute to other national symbols to enforce a strong sense of identity into the kit. The new England away jersey features a bold red tonal pinstripe design subtly infused with a graphic interpretation of a St George's cross on the front. The St George's cross, representing the English patron saint, is an optical illusion and cannot be seen up close, only coming into focus from further away. The jersey boasts a unique neckline with a grown on collar. The front panel goes all the' way to the top so the St George's cross is as big as possible. A rib completes the neckline' around the back of the collar. The iconic England crest features a satin weave base with embroidered lions to create' a lustrous effect. The base uses a bright white with an optical brightener to further' enhance its whiteness, making the lions come alive under UV light. Inside the back of the neck, consistent with the home jersey is a pennant tab, this time' with a graphic of red pinstripes that together create a subtle St George's cross. The new shorts are white with a red tape along each side and the new away socks are' red. 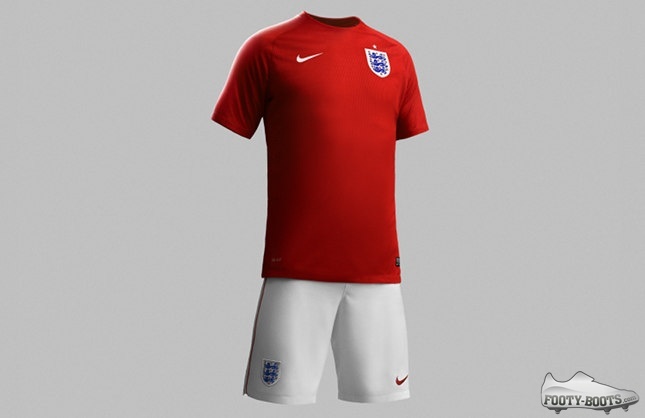 As with the home shirt, the England Away Shirt for the World Cup' boasts key Nike technology for improved performance. 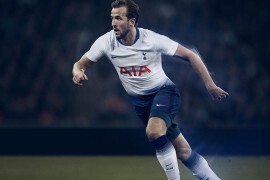 Dri-Fit, ‘Burn-out’ mesh and laser cut ventilation provide cooling, whilst the Nike Pro Combat baselayer system will work with the kit to provide protection and further cooling. 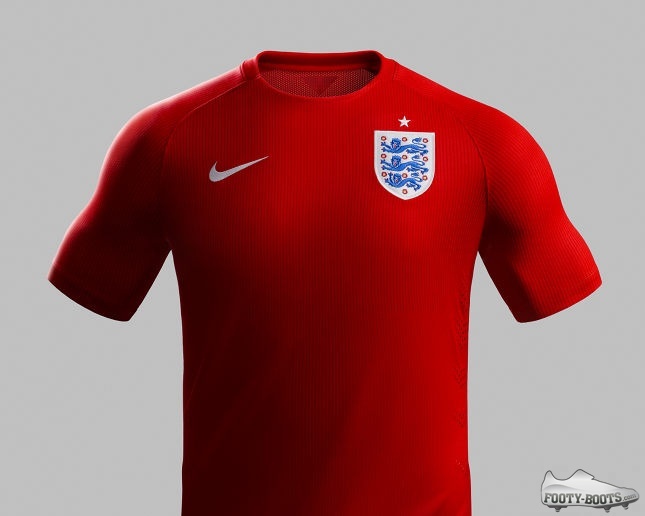 What do you think to the England Away Shirt for the World Cup?